This news item forwarded by Michael trumps all other subjects I might have covered in my first post after returning to Jakarta. What a remarkable woman! "Every baby's first breath on Earth could be one of peace and love. Every mother should be healthy and strong. Every birth could be safe and loving. But our world is not there yet," Lim said during "CNN Heroes: An All-Star Tribute," which took place at the Shrine Auditorium in Los Angeles and recognized Lim and the other top 10 CNN Heroes of 2011. Many women in the developing world do not have access to contraception or maternal care. According to the United Nations Population Fund, three out of five women giving birth in South Asia do so without a skilled birth attendant on hand. In Indonesia, the average family earns the equivalent of $8 a day, according to the International Monetary Fund. But a baby delivery costs about $70 at a hospital, and a Caesarian section can cost as much as $700. Lim believes Indonesia's high maternal and infant mortality rates are caused in part by these costs, which many women cannot meet. The CNN Hero of the Year was chosen by the public after an 11-week vote on CNN.com. For being named Hero of the Year, Lim will receive $250,000 for her cause. That's in addition to the $50,000 that she and the rest of the top 10 Heroes each received for making the top 10. This is the fifth year that CNN, with the help of entertainers and other celebrities, have honored everyday people changing the world." Turlington Burns introduced Lim's video tribute during Sunday's show, before the Hero of the Year announcement. 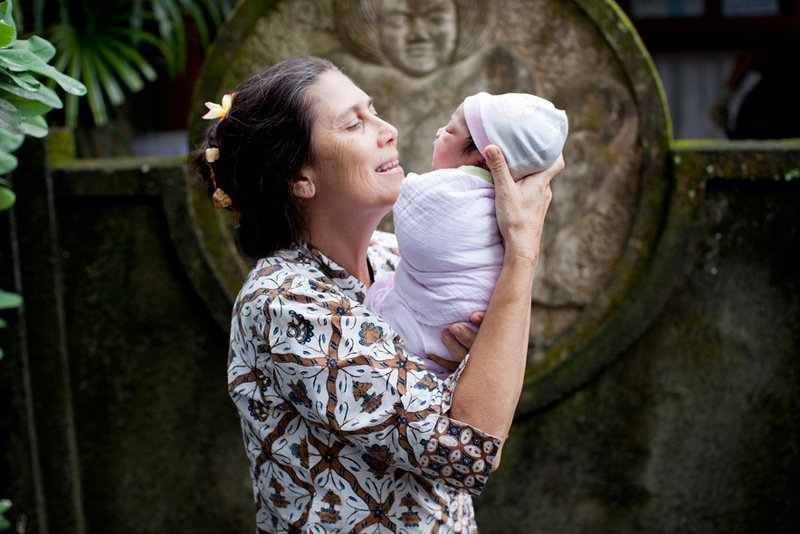 As founder of Every Mother Counts, she is also a passionate advocate for maternal health around the world. Turlington Burns recently made the trip to Indonesia to meet Lim and see her work firsthand. Lim became a midwife after her sister -- and her sister's baby -- died from complications during childbirth several years ago. She and her husband then sold their home in Hawaii and moved to Bali to "reinvent their lives," she said. "It was there she learned she could make a difference," Turlington Burns said. "She opened a clinic, Bumi Sehat, so poor mothers can give birth safely and be treated with dignity and respect. She has delivered thousands of babies, and that is why they call her 'Ibu' -- Mother." After being announced as the CNN Hero of the Year, a tearful Lim accepted the award from host Anderson Cooper and made an impassioned plea for help. "Today on our Earth, 981 mothers in the prime of their life will die -- and tomorrow again and yesterday," she said. "And I'm asking you to help change that. We don't even know how many babies are lost, but all of us can help change that."